Welcome prospective honors students! The Pitt Business Honors Program is designed for the most capable and accomplished business students. Our goal is to prepare the future leaders of organizations through an enriched academic experience, personalized advising support, and experience-based learning. 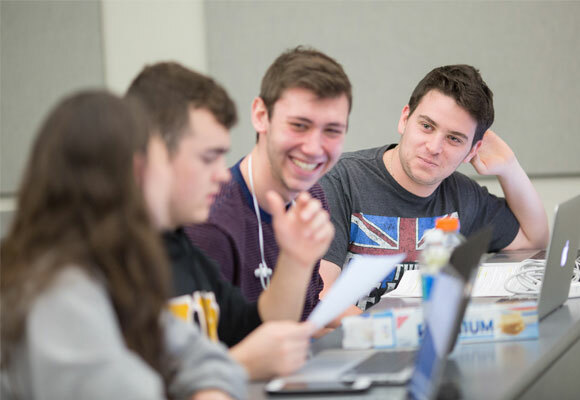 Representing the highest level of scholarship at Pitt Business, the honors program includes challenging coursework that explores material in greater depth. It also includes an experience-based learning capstone and the opportunity to conduct research with faculty. Students complete a nine-credit honors program that allows them to develop closer relationships with faculty and honors classmates. 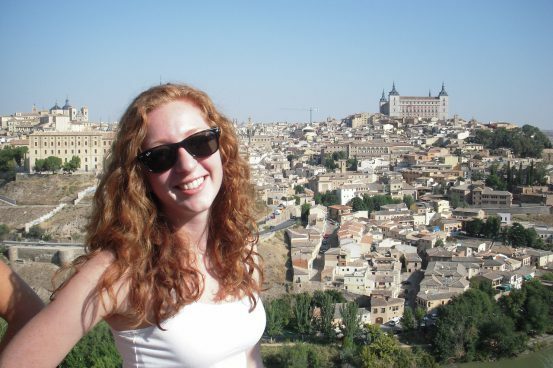 Honors students also gain professional experience through participation in study abroad, research, internships, and external business consulting projects. At graduation, honors students will be awarded the Pitt Business honors designation in addition to their Bachelor of Science in Business Administration (BSBA) degree. Learn more about Pitt Business Honors Program coursework and eligibility guidelines. As a Pitt Business student, you have a world of opportunity available to you. You select from seven business majors that span the business disciplines, and you have the option of pairing your major with one of five business certificates or earning a double major. For your double major, you may, for example, choose to pair supply chain management with business information systems; and for your certificate, you may pair your major in accounting with our Certificate Program in Leadership and Ethics. Many honors students also take advantage of the wide range of other academic opportunities at Pitt. You may choose to earn a second degree from another highly ranked Pitt school, participate in an accelerated degree program or to complete minors or certificates from other Pitt schools. You are able to explore the world through our business-intensive study abroad programs. We offer our innovative Global Business Institute, International Internship Program, Plus3 Program, and the Haller Global Honors Fellowship. These programs let you build your business skills and cultural competency in a global context, all while staying on track to graduate on time. In addition, you also have access to the full portfolio of University of Pittsburgh study abroad programs, which include several hundred offerings year-round in more than 75 countries. Pitt Business Honors Program students can also complete an independent study project with a global focus. For example, one student’s project explored disruptive innovation in the fashion industry in a project that involved her traveling to Vietnam and Germany. Your academic advisor will work with you individually to develop an academic program that responds to your unique interests and goals. The result is a customized educational experience. Over 90 percent of our students complete more than two internships and we offer Western Pennsylvania’s largest career development conference every fall and an internship fair in the spring. Throughout the academic year we also regularly host recruiters on campus for events tailored specifically to our school. Pitt Business also offers a highly ranked MBA program and specialized master’s programs in the areas of accounting, customer insights, finance, management information systems, and supply chain management. We offer an accelerated degree program where students can earn their BSBA and MS in Accounting in only four years. Learn more about guaranteed admission to the business graduate school programs at the University of Pittsburgh. Our honors program helps students to customize an academic journey that lets them realize their full potential. Featuring enhanced courses, an experiential capstone, and the opportunity to form close friendships with peers and faculty, the program helps take students From the Classroom, To the City, To the World. Pitt Business honors students are also eligible to complete the Bachelor of Philosophy program offered by the University Honors College (UHC). The Bachelor of Philosophy (BPhil) degree is jointly awarded by the UHC and the College of Business Administration. Students qualify for the degree by completing an academic program of additional breadth, culminating in a written thesis document that is presented publicly and defended before a faculty committee that contains an outside examiner. Details on the BPhil option are available from the UHC. If you have questions, please contact Liz Adams, Director, Pitt Business Academic Advising at ladams@business.pitt.edu.